Built this. Looking forward to try it out with the new patch. 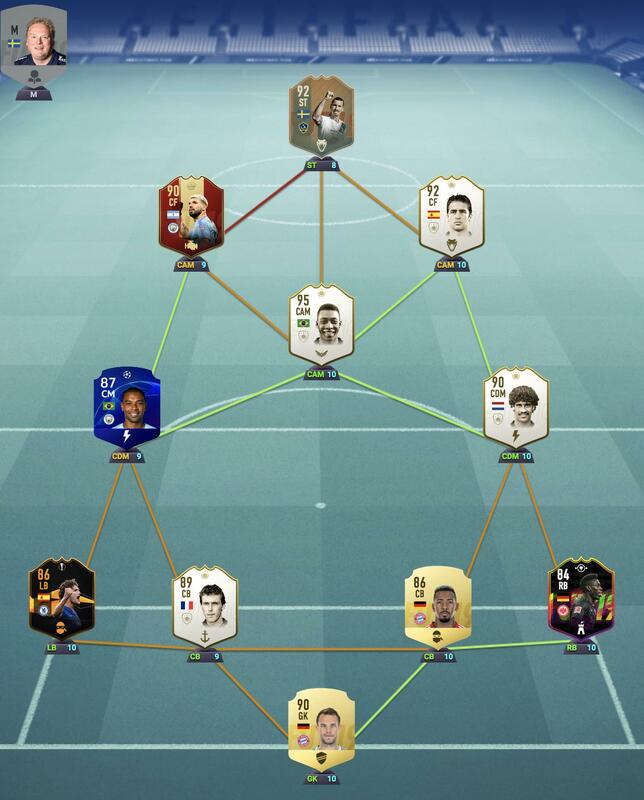 Just thinking what formation i will use (4411, 442, 4231, 41212, 352) everything is possible. Really enjoying this team. 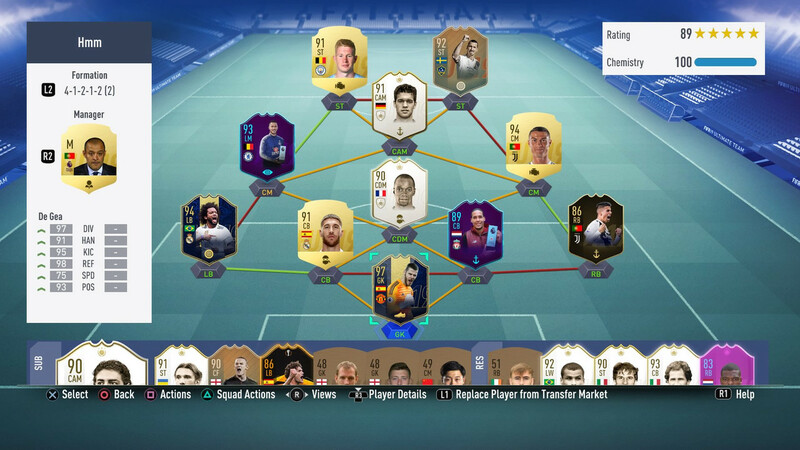 Switch to 433(4) in game and swap sandro with maldini and coutinho as cam with reus and sancho as wingers. Gave deco a try as hes like my fav player oat and hes actually quality. Really really good cm. Sold TOTY Mbappe and bought KDB, Marcelo, Ramos, Cancelo and CR7. Set up 4 different formations I haven't even tried yet and haven't played a game yet either with this squad. Going blindly in WL tomorrow. 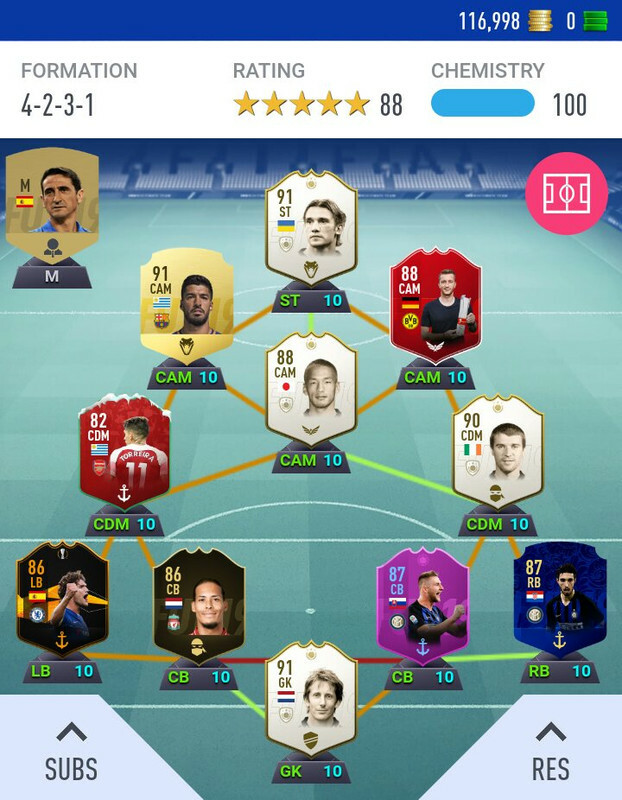 From Elite 3 to Gold 3. Toty mbappe is what you expect him to be. Meta! Scream fellaini is better than any other CDM imo. Can move to 4222 or 4231 or keep as is. Played 5 games tonight and can’t feel crossing as more powerful post patch. 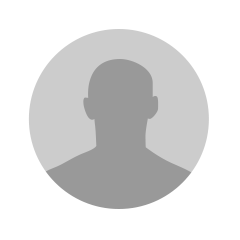 How’s Nakata doing for you? Hey guys I need some thought on my LW. 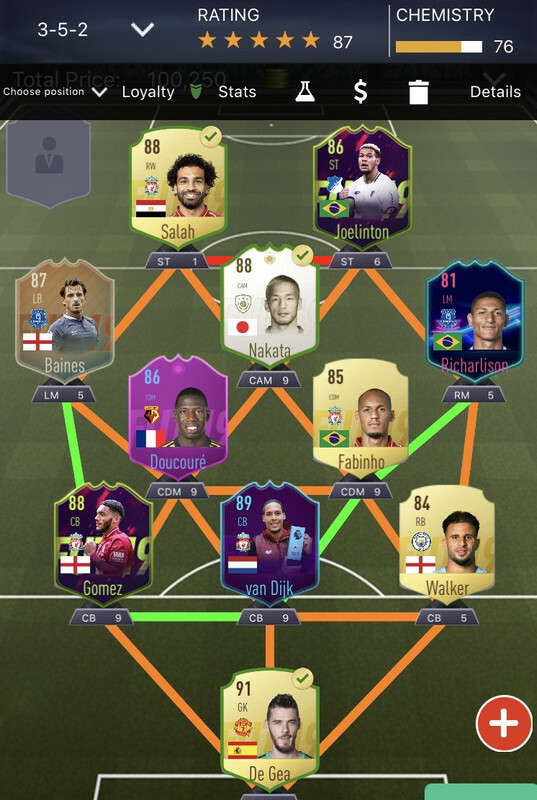 Currently putting hazard but im only getting 3 Chem. Need some alternatives. 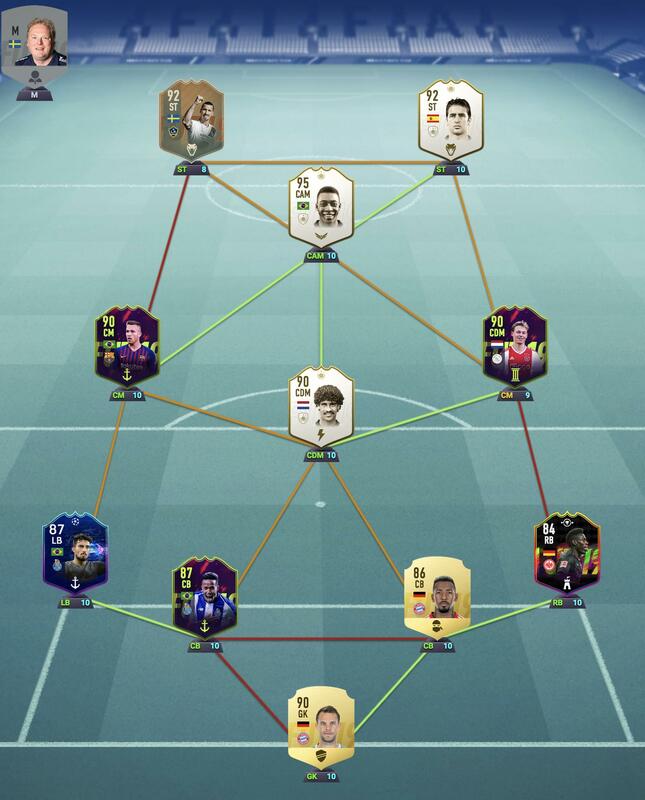 Maybe also Some changes to cm to maximize chem points? Any thoughts appreciated. 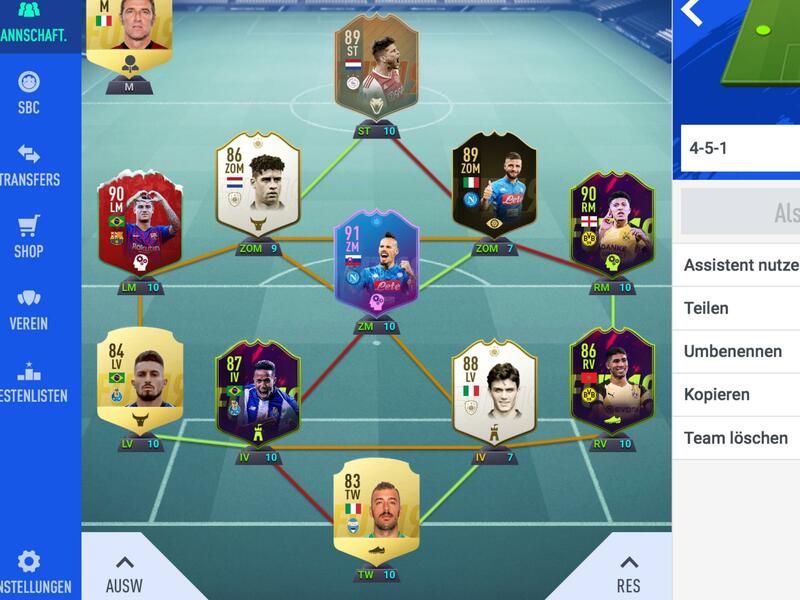 Opinion on ziyech, I initially bought him as an investment but wondering how he is in game? 2*WF is a big problem. So as long as you don't shoot with his right foot he is excellent. @ikbensjimmie how's Prime Veron mate? Think I'm gonna do his SBC when uts released. Even got nakata ready to use if needed. Veron is never going to leave any of my teams. Hoping for a decent icon to replace Shev soon. 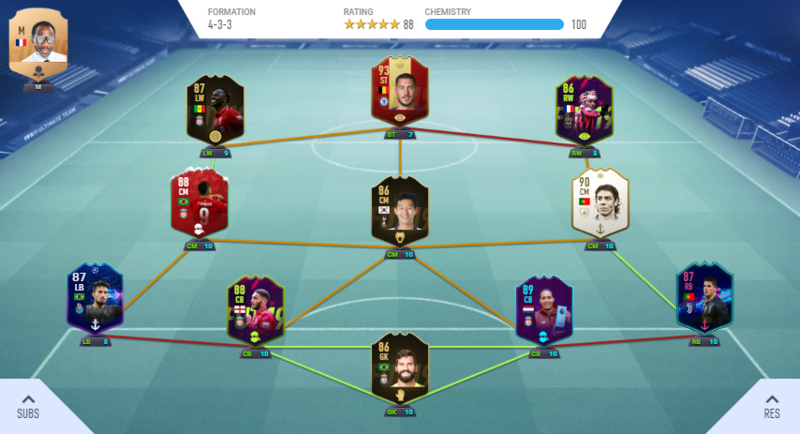 Might replace Telles with HL Sandro aswell. 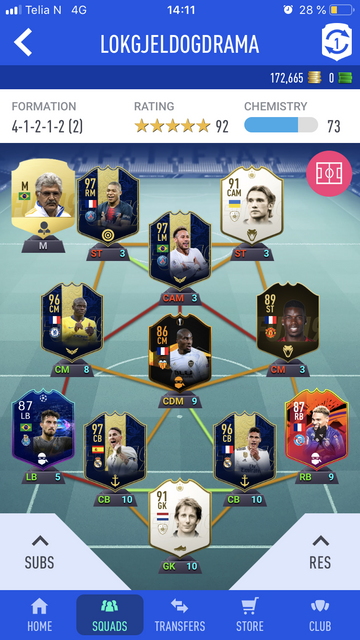 Swap raul and ibrah and swap them using dynamic tactics? 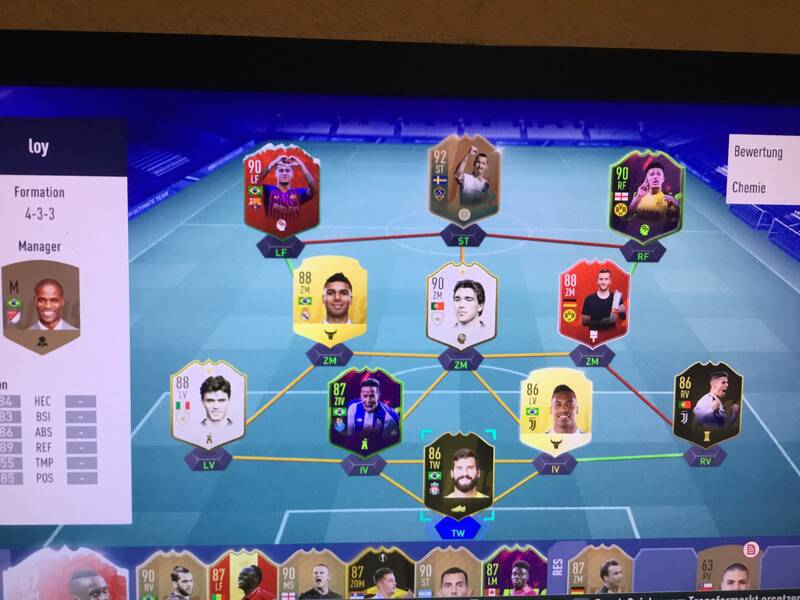 Was kinda hoping for koulibably as one of my red picks but i ended getting some 81 goalie lol. Might change it up a little bit but i tried it and it feels really good so far. 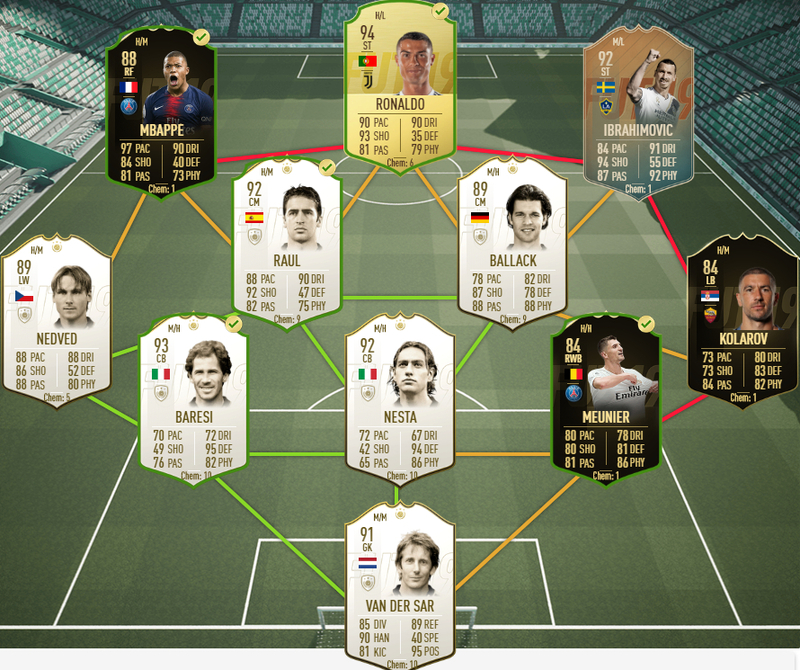 Ibra at RW, 3* wf kolarov on rwb, raul as cm. The game must be wrong if this works.